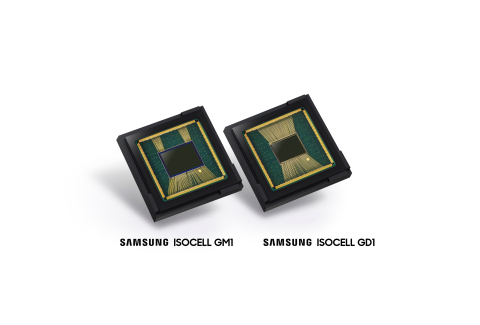 SEOUL, South Korea--(BUSINESS WIRE)--Samsung Electronics Co., Ltd., a world leader in advanced semiconductor technology, today introduced two new 0.8-micrometer (μm) pixel image sensors – the 48-megapixel (Mp) Samsung ISOCELL Bright GM1 and the 32Mp ISOCELL Bright GD1. * Editor’s Note: Samsung first announced its ISOCELL technology in 2013, which reduces color-cross talk between pixels by placing a physical barrier, allowing small-sized pixels to achieve higher color fidelity. Based on this technology, Samsung introduced the industry’s first 1.0um-pixel image sensor in 2015 and 0.9-pixel sensor in 2017. In June 2018, Samsung introduced an upgraded pixel isolation technology, the ISOCELL Plus.